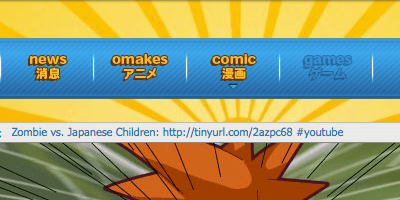 If you have been following Omake Theater for a while, then you probably remember a time when the menu bar contained a ghosted-out link to a future section called “Games”. When I first began Omake Theater, I fully planned to create smaller games that were intended to be played in your desktop browser, but things changed quickly. Not too long as after I started this site, smartphones were taking the world by storm, and soon after they became the average consumer’s PC of choice. This was unfortunate because I was planning on developing these games using Adobe Flash, but Adobe Flash is not supported on smartphone devices. That meant that, even if I created these games, a huge chunk of the readers would not be able to play them. That put a damper on my ambitions, so I put this idea on hold. Flash-forward eight years, and I am now developing the very first Omake Theater game for play on Steam, and possibly another place, down the road. This game will be more advanced than the rudimentary titles I had originally planned to release. It will also star Orange, from the Purple Hates Orange series, as the protagonist who traverses through multiple stages in order to get his key back after being locked out of his home by Purple. Since Omake Theater‘s Patreon page has become the go-to home for behind-the-scenes content, I will be sharing the game’s developmental updates there. I will also be using the monthly donations I receive from Patreon to help fund any fees and licenses needed for this game. So, if you want to help support this game’s development, that is a great place to do so. As the game draws closer to being officially released, I will make sure to share trailers and pertinent details on the site, as well as link to them across the various social medias accordingly. I am having a blast developing this game and I hope, in turn, that you have just as much fun playing the final product.